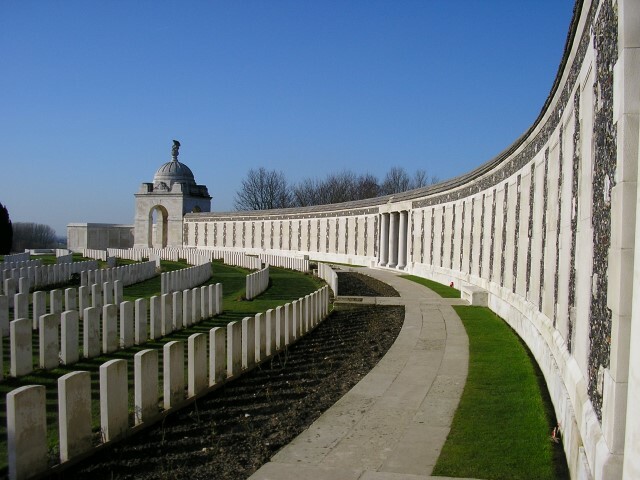 30657 Private William Wilson, 8th Battalion, the Lincolnshire Regiment was killed in action 4 October 1917 and is commemorated on Tyne Cot Memorial, Belgium. He was about 25 years old and is commemorated on the West Auckland War Memorial and the Roll of Honour, West Auckland Memorial Hall. Robinson was employed as a colliery blacksmith and lived at various addresses in West Auckland and St. Helens. By 1911, sons John, Robinson and 20-year old William lived at home. William worked as a colliery screenman. William Wilson enlisted at Sunderland and was posted to the 8th Battalion, the Lincolnshire Regiment being given the regimental number 30657. Many Divisions visited the Ypres Salient during the Third Battle of Ypres and on more than one occasion. A total of 54 Divisions were thrown into battle. The offensive cost the British nearly 310,000 casualties, the Germans slightly less and it consumed all of the available reserves. 6 November 1917: the village of Passchendaele was entered and the whole campaign ended a few days later when more of the ridge was taken. It achieved none of its objectives although the Germans could no longer look down on the Ypres Salient which had been deepened by about 5 miles and they had been prevented from attacking the French when its army was in disarray following the failure of the Nivelle Offensive. From the outset, it was obvious to the German Fourth Army that a new attack was being prepared and the previous year they had begun to strengthen their defences. The British did not force home their initial advantage and it was not until 11 July that an air offensive began. 18 July: a massive artillery bombardment commenced. 31 July: the attack commenced when the British Fifth Army attacked north-east from the Ypres salient. Initially, good progress was made but a strong counter-attack resulted in only a 2 mile advance. Heavy rain fell on the first night flooding the swampy ground whose drainage system had been totally destroyed by the 10 day bombardment. As a result, the whole operation was held up but offensive actions still took place. 5 October: the Lincs advanced their posts north of Jute Cotts to within fifty yards of the German line. 6 October: the battalion was relieved. Later research records that between 4 and 6 October, 8/Lincolnshire Regiment lost 56 Other Ranks killed in action or died of wounds. 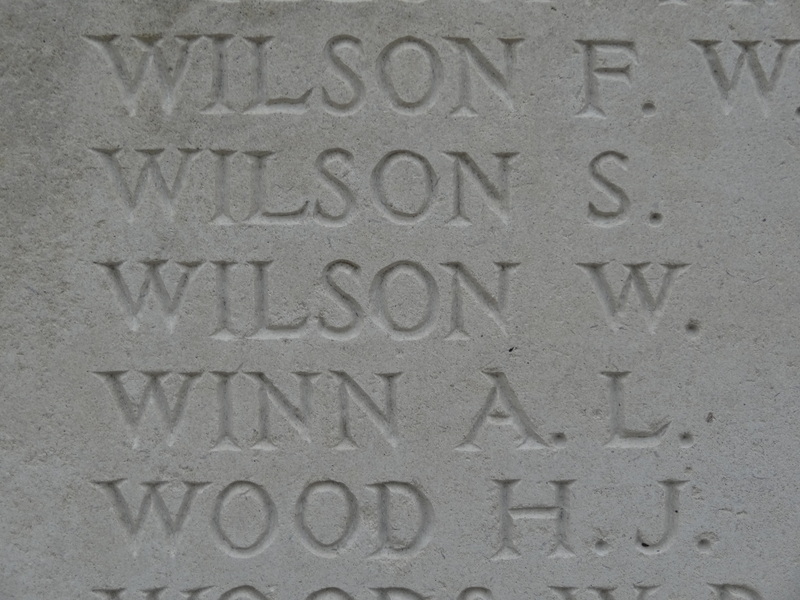 Private W. Wilson was killed in action 4 October and has no known grave. Private William Wilson was awarded the British War and Victory medals. 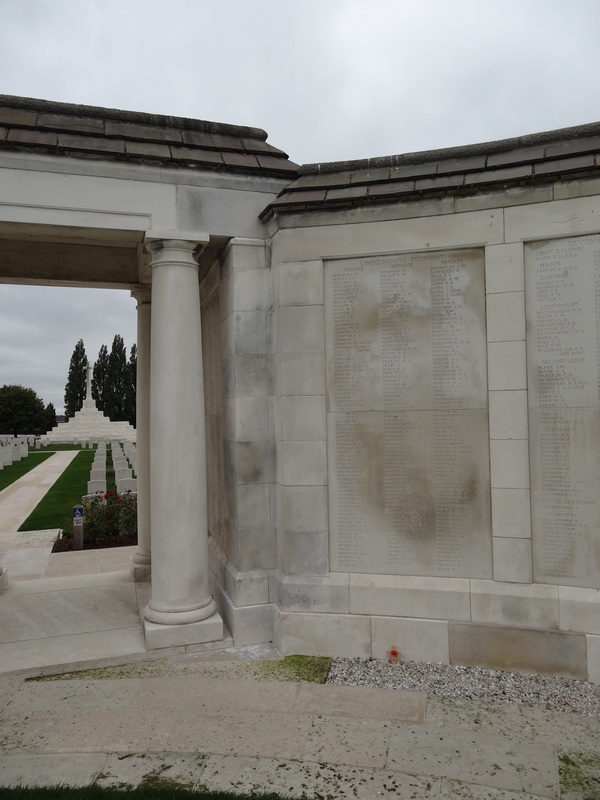 Private William Wilson is commemorated on the West Auckland War Memorial and the Roll of Honour, West Auckland Memorial Hall.